The latest generation of Bio-Well GDV Camera, the 2.0 provides enhanced functionality and faster operation for the best user experience. The upgraded technology of the 2.0 allows for improved stability and a higher level of reproducability, as well as manually-controlled device ventilation and exclusive access to new features currently in development for future releases of the Bio-Well software. 3. New Calibration process: Calibration of the 2.0 is much faster and more accurate as compared to our 1.0 model. 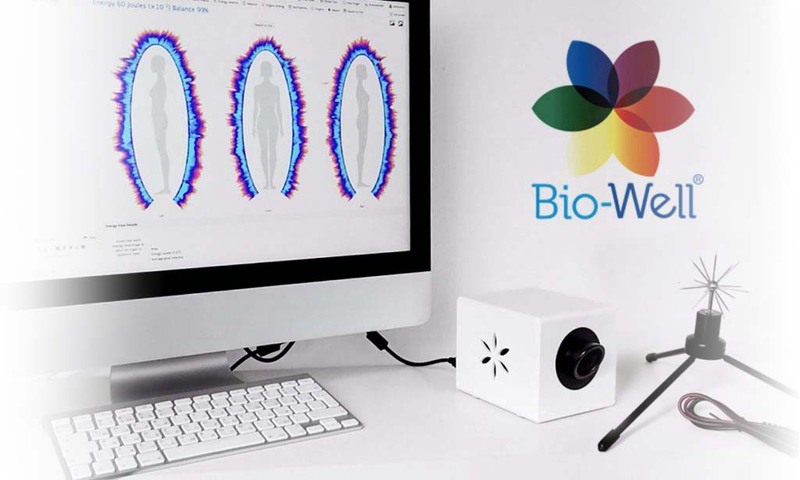 Using the powerful technology of ElectroPhotonic Imaging (EPI) (also known as Gas Discharge Visualization (GDV)), Bio-Well illustrates the state of person’s stress level. When a scan is taken, high intensity electrical field stimulates emission of photons and electrons from human skin; imaging technology captures photon emissions given off by the finger. Bio-Well utilizes a weak, completely painless electrical current applied to the fingertips for less than a millisecond. The body’s response to this stimulus is the formation of a variation of an “electron cloud” composed of light energy photons. The electronic “glow” of this discharge is captured by an optical CCD camera system and then translated into a digital computer file. Mac OS X 10.8 and higherThe Bio-Well device and software have been optimized for utilization with PC computers running a Windows operating system as well as for Mac OS X systems. Many of our customers do successfully utilize Bio-Well with Mac OS X, but some have experienced inconsistent operation, which may be due to interference by various programs installed on individual computers. The Bio-Well Team endeavors to increase support for Mac in our ongoing software updates. For those customers who may encounter issues when using Mac OS X, we recommend consideration of a secondary Windows-based system as an alternative platform. We further recommend, to all Bio-Well users, implementation of a regularly-scheduled calibration regiment which is essential for accurate and reproducible results and/or changes of environment.